Whoop whoop, we’ve made it to the Weekend, which on the West Coast means getting outside and appreciating this beautiful part of the world we call home. Living in such an awe inspiring place really drives home the fact that we are a part of nature, not apart from it, and that we need to take stock of how we live if we plan to keep BC beautiful. Take for example, today’s profile company Novel Supply. 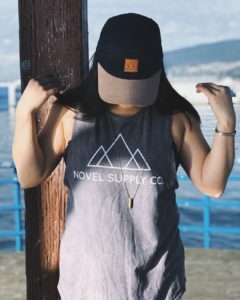 Headquartered on the North Shore, Novel Supply is a stones throw from adventure (hence their Adventure Tee), so it makes sense that their styles are camping and hike ready, but also that the environment is considered at every turn: materials, production, even the end of life of garments has been carefully plotted to do right by this place we call home, be it locally or globally. 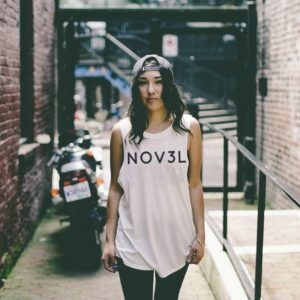 So in closing out our West Coast Living week, we present Novel Supply, whose clothes really sum up what First Pick is all about: Fashion that make us look good and feel good too, with sustainability down to a Tee (or sweatshirt!). 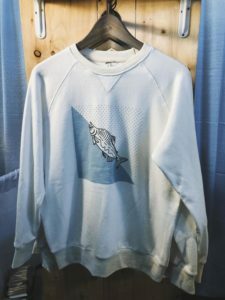 The line also has a definite West Coast flair, incorporating local artist’s renditions of the bears and salmon that make the coast come alive. 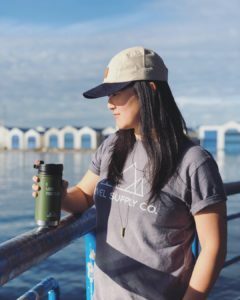 We chatted with Kaya Dorey, designer and eco-preneur, about what’s in store for Novel Supply… Check it out! What’s new for Spring 2019? What’s your must have item? We are very excited to have some new naturally dyed garments for Spring 2019. We have a new line of naturally-dyed, hemp and organic cotton tees, tanks and crews that have been dyed with logwood and oak hulls by local master dyer, Caitlin Ffrench. 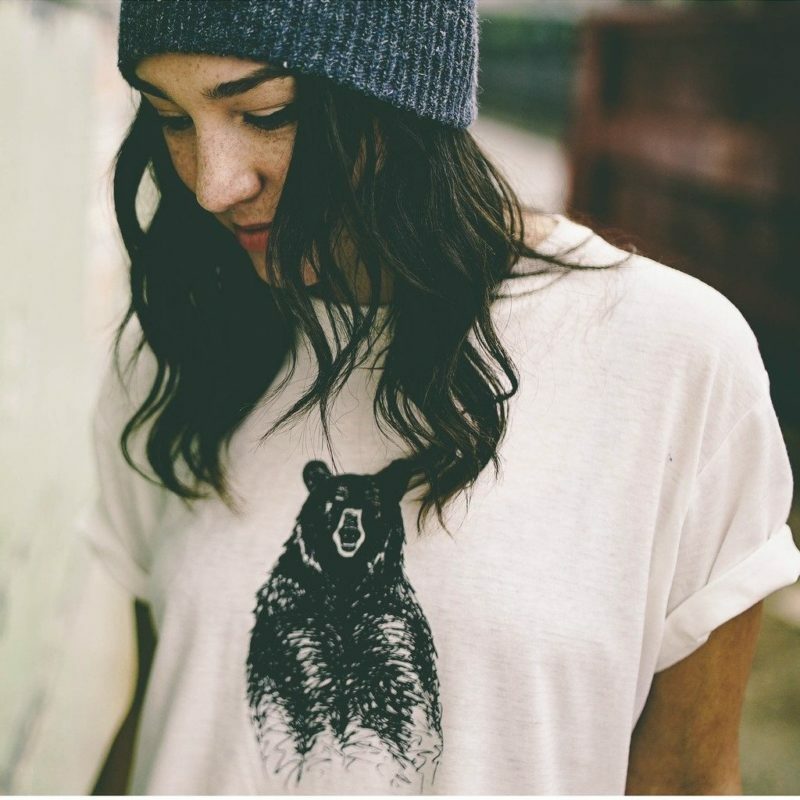 They have been screen-printed with our signature white logo and are perfect for a jaunt in the woods or a craft brewery crawl on the weekend. What is your design point of view? My design philosophy is about designing with the end in mind. Having learnt about textiles waste in University, I realized that our clothing and consumption is becoming a major issue and that most of our clothing is made out of synthetics or blends of natural and synthetic fabrics. These fabrics don’t biodegrade and they are not recyclable so they end up in the landfill where it can take hundreds of years or more to break down. 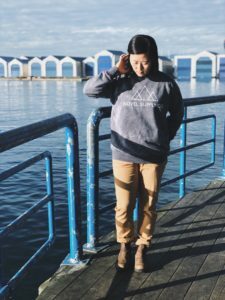 This is why I decided to source the most sustainable hemp and organic cotton fabrics I could find while also developing a take-back program and taking responsibility for the products I am making. We also use all the fabric scraps from production to make a line of kids apparel. Let’s talk Fast Fashion for a sec, versus locally made. Why do you intentionally produce here in Vancouver? Cheap fast fashion has made us believe that the cost of manufacturing a garment is next to nothing. What we don’t think about is the people or the planet that are paying for that shirt to be $10 in so many ways. Whether it’s the person who is making your garment for next to nothing, in unspeakable working conditions or the rivers and streams that have become so toxic and change colour depending on the “it” colour of the season, we need to change the fashion industry for the better. It’s with your dollars that you can choose to support us small local brands who truly care and want to fix this problem. The only way we can do it is if people support us and keep us in business. Manufacturing in Vancouver is expensive. Some people might argue it is a bad business choice. But for me, knowing I can go to the factory and speak with the women making my apparel, and know that they are working in safe conditions and being paid properly, it’s worth it and the price reflects that choice. I am now working with a business coach, which is helping me manage all the moving aspects of my business. She is helping me to stay on track and holds me accountable to the goals we laid out in the beginning (you could do the same with an accountability partner). We meet once a week and just having that date in my calendar creates a good sense of urgency to get things done. As a perfectionist / over achiever, like most other entrepreneurs, I have a tendency to be hard on myself if I didn’t get everything done and perfectly at that. I have had to let go of a lot of that perfection and strive for good. It has been really challenging to let go and still is on most days but being conscious about it and recognizing when I’m doing it has really helped me. I feel less stress and more grateful for when I accomplish the little things instead of feeling like a failure for not accomplishing enough. Thanks Kaya for everything you do! We’re so excited to have your line at our show, and love how inclusive it is. We can’t wait to hang out at Heritage Hall 6 weekends from now, and a reminder for those who may have missed it yesterday: be sure to enter our $150 Shopping Spree Contest with the Georgia Straight! TGIF! !